Today is the first day of Climate Week! Didn’t know about Climate Week? Well let us fill you in. The idea is to get as many people as possible to do something ‘green’ during the week. The ‘ready made’ challenges are a piece of cake – honestly anyone could fit them into their lives, with no trouble at all.That’s the point really, to show people how making even a very small change in their lives can impact the planet. You can check out our donation page on the DoNation site to see the sort of things you can pledge. We have a modestly titled page called the ‘Great Green Climate Challenge’, and if you want to be more ambitious you can do more of their tasks, or even come up with your own ideas. The Great Green Climate challenge has been set by Be Energy Smart, DIY Doctor and Green Reviews – three online companies who have banded together to set you a challenge and offer you a prize! 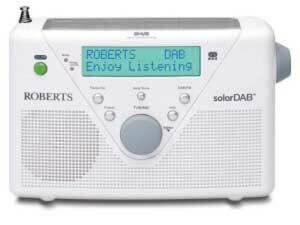 We thought we would get more done if it was a bit of a challenge, and so for every climate week pledge you make we enter you into a draw to win a Roberts Solar DAB Radio! How great is that? You can pledge as many different ‘Do Something’ tasks as you like – the more you pledge the more chance you have of winning. Our office has pledged ‘Fantastic Unplastic’. We have set ourselves an office task of shunning the ‘throw-away’ plastic bags. So we are pledging to only use our sustainable, and if we may say so, attractive selection of reusable shopping bags. Our Managing Director, Mike Edwards, has pledged ‘tea time’ and if that sounds just too easy – then it is. That’s kind of the point. So please do go to the page and get pledging – its only for a week, and then there’s that shiny new radio! Send us your DIY Disasters and Your Home Improvement Mishaps!